One of the fastest growing economies in Latin America, Lima is in many ways a success story. Since 1960 the population of the metro area has quadrupled, and in that time, poverty has decreased, the middle class has expanded, and the city has modernized. But workers in Lima’s vast informal sector, in which 50 to 65 percent of residents make their living, haven’t benefited from this growth to the same degree as the formal workforce. By some estimates, informal workers’ incomes in Lima are falling, and half of the city’s population is impoverished. 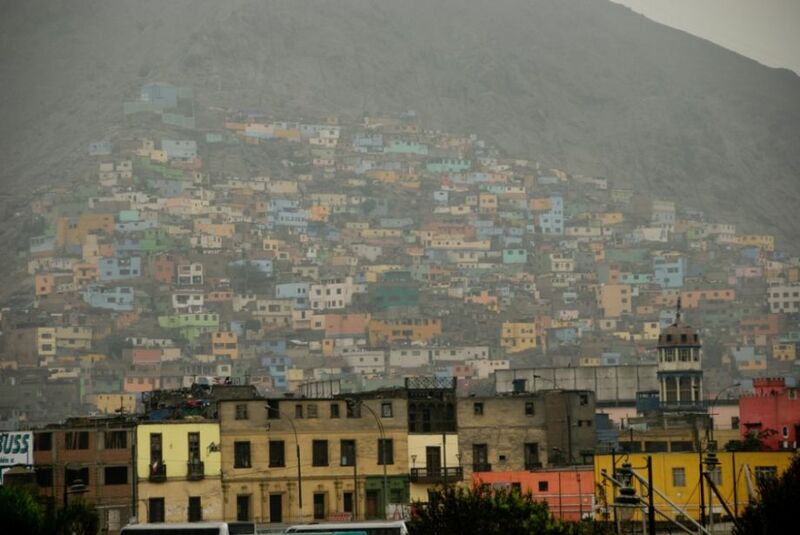 Poverty is especially rife in Lima’s informal settlements, known as asentamientos humanos (human settlements), which sprawl outward and upward from the city center into the surrounding hills. Many of these settlements lack basic needs like drinkable water and public schools. But on the whole, the asentamientos humanos of Lima are better organized than the informal settlements of many other cities. The older ones are integrating into the metro area as it expands, connecting to the water and electrical grids, and developing into solid middle-class neighborhoods. And even so-called “middle-aged” settlements, established in the 1970s, are improving — some, for instance, have achieved water-connection rates of up to 79 percent. But even Lima residents who don’t live in informal settlements or work in the informal economy are touched by both in their daily lives. From public transportation to bootleg DVDs, many goods and services in Lima are procured informally. As the city works to achieve a sense of balance and mutual respect between both sectors, the population at large could benefit enormously. Manuel writes about politics, business, tourism, and culture for Peru This Week, where he is the news editor. A Peruvian-American who grew up between both countries, Manuel moved back to Lima in 2011. He has written for several Peruvian publications, and has been featured on BBC Radio. He holds a B.A in International Relations and Philosophy from Florida International University. Can Lima finally untangle its transportation mess? In the third Forefront story of the Informal City Dialogues, Manuel Vigo explores the city’s attempts to dig out from its crushing congestion. Will Lima’s Future Citizens Compete for Resources or Organize to Maximize Them? Resource availability and citizen participation will be the two forces that affect Lima’s future. Read a summary of the futures scenarios created at that city’s Informal City Dialogues. As Brazil gears up for the World Cup and the Olympics, it has put in place a series of protections for informal settlers threatened by its many large-scale urban projects. The thousands of Peruvians who were forced to urbanize during Peru’s period of rural violence are now running the small businesses that are helping Lima’s economy boom today. Our fortnightly roundup of photos from our bloggers. This week: A mountaineer’s commute in Lima, urban gardening in Manila and a teachers’ strike in Nairobi. 60 percent of Lima’s female workers work in the informal economy. Of these, only 15 percent have health coverage and 4 percent have retirement benefits. 95 percent of Lima’s public transportation is informal.